Stand Up Paddle Surfing: A race against the clock! Well, by all accounts we've got a nice south swell and some north-northwest swell coming- but my time is winding down. For more surf reports like this check out www.solspot.com. We leave in three days, so, as far as scoring a solid swell, our window of opportunity is closing. I think our best shot is for waves on Tuesday, the day before we start our three day trek home. 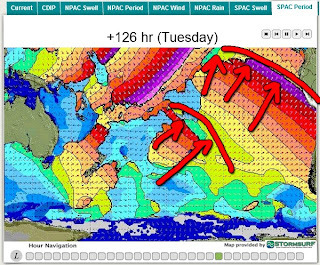 Surprisingly, it looks like we could be getting an out of season south swell. 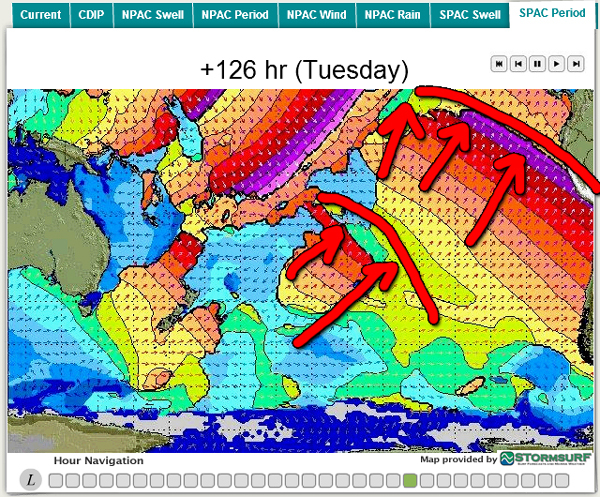 We'll be cutting it close- I'd love to score one more solid day of surf before we start rolling north.